Heritage House offers a unique blend of accommodation set in this the first world heritage site in South Africa. All rooms are tastefully decorated, spacious and comfortable. Relax in the sub tropical climate either by the pool side or enjoying a book on the outside lounge. Heritage House offers a unique collection of safari and tour packages operated all in house. This ensures that service and expectations are exceeded at all times. From the outside, St Lucia is but a small quaint village. However this truly is a wildlife paradise with Hippos frequenting our lawns at night to bush babies on our roof tops. One is sure but to revel in this magical place. Heritage Tours & Safaris would like to invite you to our Boutique Guesthouse @Heritage House 4 Star Graded. This colonial style accommodation is set in the picturesque town of St Lucia a wildlife haven and bordering South Africa's very first world heritage site iSimangaliso Wetland Park and a mere 45 min from the world acclaimed Hluhluwe Umfolozi Game Reserve. The Bed & Breakfast (4 Star Graded) boasts 4 stylish and comfortable rooms. Enjoy the refined style and modern comforts that the home has to offer. All rooms are en-suit. air conditioned each with its own 32 inch tv and satellite tv system. Enjoy complimentary water and sub tropical fruit bowl in your room daily. Each room is also fitted with a safe for storage of laptops and other valuables. All of the rooms have been tastefully decorated adding to the sub tropical weather experienced in the area. Lounge in either one of the two lounges on the premises, our interior lounge offers a great place to spend with family or making new acquaintances with fellow travelers. Our outdoor lounge area is superb for those warmer tropical days where can enjoy a book or a splash in the pool. Revel in the warm, calming and contemporary ambiance of the accommodations. At Heritage House offers some incredible All Inclusive Accommodation and Safari Packages for more please click on the Safari Packages Tab. Experience and wonder through the incredible world heritage site ( iSimangaliso Wetland Park ) just on your door step or better yet the Hluhluwe Umfolozi Game Reserve. Friendly staff able to assist you with all types of guests needs, including restaurant bookings, currency exchange, leaving you only time for enjoyment. We will also be delighted to offer you guidance as you set out to visit one of the numerous attractions in and around the area. The guesthouse is connected with complimentary wifi should you need to stay connected with your loved ones. 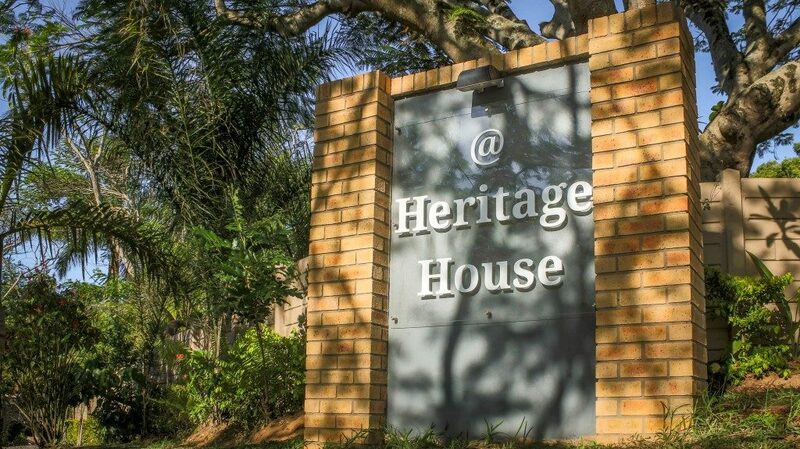 At Heritage House is situated within walking distance to all of the local restaurants and craft markets. We would like to thank our valued guests for their kind words and reviews while overnighting in St Lucia. Until next time we hope and trust that we will meet some day again. We had an amazing two night stay at @Heritage House in St. Lucia during our recent trip to South Africa. The three rooms that were prepared for us were well appointed, large and very comfortable. Overall the experience was excellent and we cannot thank Thea enough for her attentive service during our stay. Highly recommend this premises if you're looking for a place to stay in St. Lucia.